— U.S. Navy (@USNavy) 6 апреля 2017 г. The war, which started in July 1914 with Austria-Hungary’s invasion of Serbia and Germany’s attack on Belgium and France, had already claimed millions of lives by that point. The carnage of industrialized warfare had a devastating effect on military and civilian morale. Popular protests in Russia had already forced Emperor Nicholas II to abdicate in early March, paving the way for a Bolshevik revolution in November. “The world must be made safe for democracy. Its peace must be planted upon the tested foundations of political liberty. We have no selfish ends to serve. We desire no conquest, no dominion. We seek no indemnities for ourselves, no material compensation for the sacrifices we shall freely make. We are but one of the champions of the rights of mankind,” the president said. 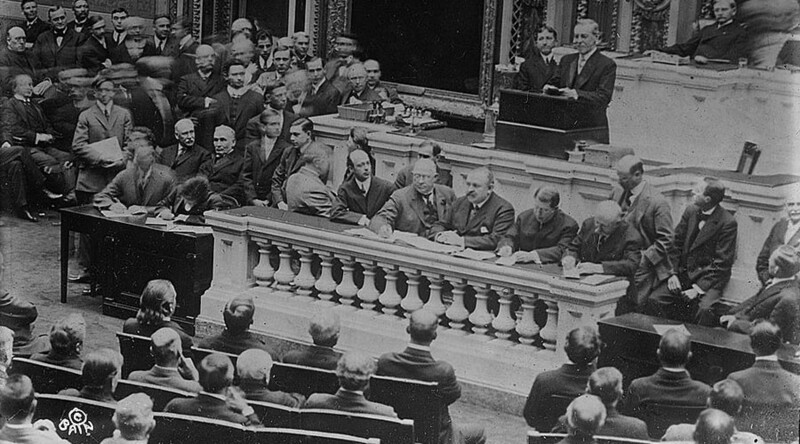 The vote to declare war in the Senate was 82 to six, with history preserving the names of the dissenters: Asle J. Gronna, Robert M. La Follette Sr., Harry Lane, George W. Norris, William J. Stone, and James K. Vardaman. Wilson appeared to have underestimated the Americans’ enthusiasm for war, as only 73,000 men volunteered for military service within the six weeks of the declaration of war. In response, the administration enacted the May 18 Selective Service Act, introducing limited conscription. The president originally wanted General Frederick Funston, hero of the Spanish-American War, to lead the US expeditionary force to Europe. After Funston died of a massive heart attack on February 19, Wilson turned to General John “Black Jack” Pershing, who had just returned from an expedition to Mexico intended to capture revolutionary leader Francisco “Pancho” Villa. 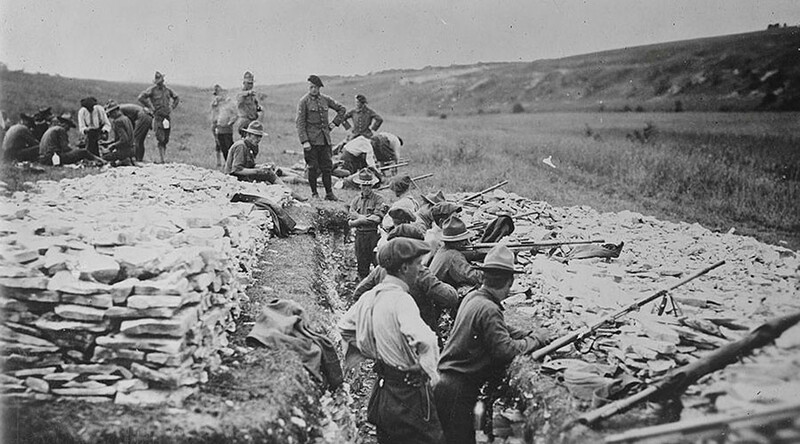 Pershing insisted on extensive training for US troops, refusing British and French requests to send them over as replacements for their own badly depleted forces. Soldiers of the American Expeditionary Force (AEF) were issued British helmets and French artillery, airplanes and tanks. By May 1918, over 1 million Americans were stationed in France, about half of them on the front lines. According to US military records, the AEF suffered 53,402 combat deaths, 63,114 non-combat deaths, and 204,000 wounded. On the same day he signed the declaration of war, Wilson issued orders prohibiting “alien enemies” from owning firearms, aircraft or wireless equipment, publishing “attacks” on any branch of the government, or residing in areas the president designated as prohibited. They also had to register with the government, could not leave the country without permission, and were subject to removal to a location designated by the president. On April 16, “alien enemies” were designated as males older than 14 who were still “natives, citizens, denizens, or subjects” of the German Empire. The definition was expanded to include women by an act of Congress in 1918. The government cracked down on domestic dissent by introducing the Espionage Act (June 1917), Sedition Act (May 1918) and Alien Act (October 1918). 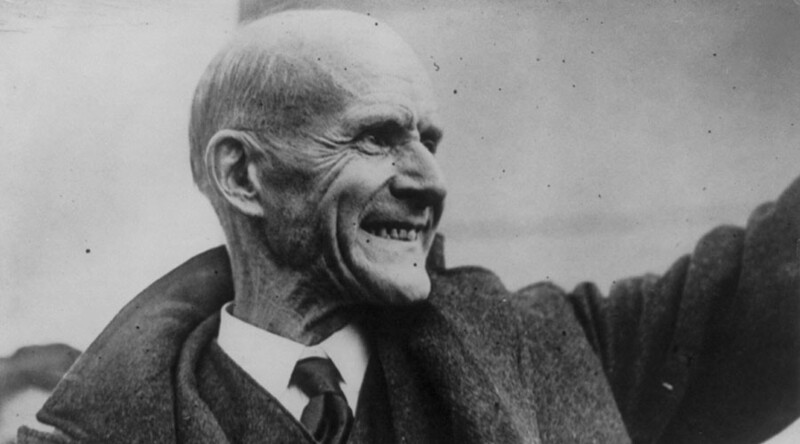 Socialist politician Eugene V. Debs was prosecuted under the Sedition Act for a speech in Canton, Ohio in which he urged resistance to the draft. He was sentenced to 10 years in prison and loss of voting rights for life. “While there is a soul in prison, I am not free,” Debs said at the sentencing hearing. 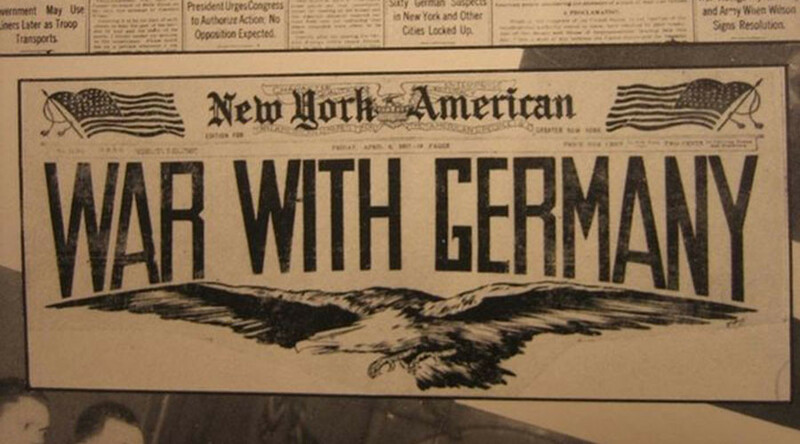 He ran for president from prison in 1920, receiving 3.4 percent of the popular vote. Wilson refused repeated requests to pardon Debs, calling him a “traitor to his country” who denounced the flower of American youth as they bled to “vindicate the cause of civilization.” Debs’ sentence was eventually commuted in December 1921 by President Warren G. Harding. The main ceremony marking the US entry into the Great War was held Thursday at the National World War I Museum and Memorial in Kansas City, Missouri. It featured the First Infantry Division Band color guard, US Army and Air Force legacy units that served during the war, and flyovers by the French Air Force aerobatic demonstration team, the Patrouille de France. The museum was built in 1926 and designated a national site in 2014, a hundred years after the war’s outbreak.